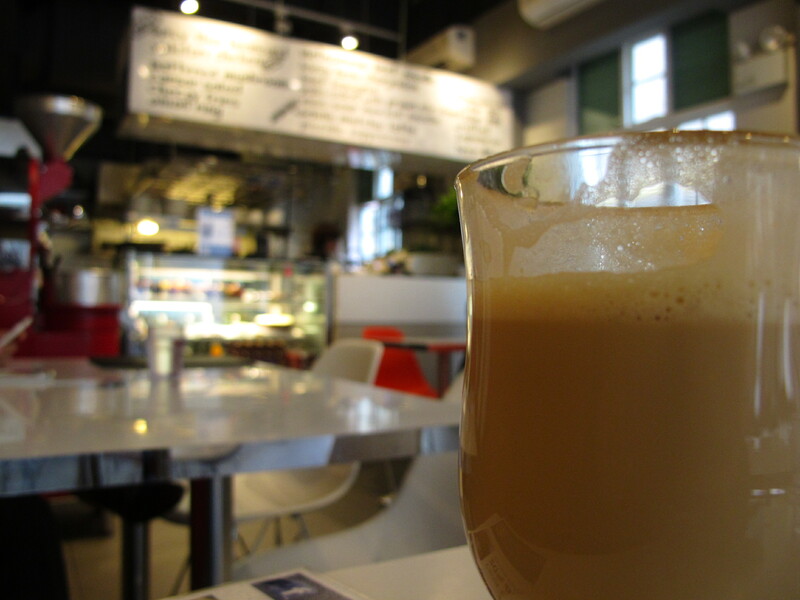 27th March 2012, Tuesday, is a day of revisit to my favorite coffee shop. Honestly, I haven't finished collecting stamps from other coffee shops that participated in Coffee Trail. But since the trail is over, I need not to rush my coffee shop hunting and stamp collection. Since this is my second time (and definitely not my last!) in the shop, I ordered a different coffee and a different food. I had a Creme Brulee Latte, Cheesy Beef Lasagna and Chocolate Chip Brownie Cake. 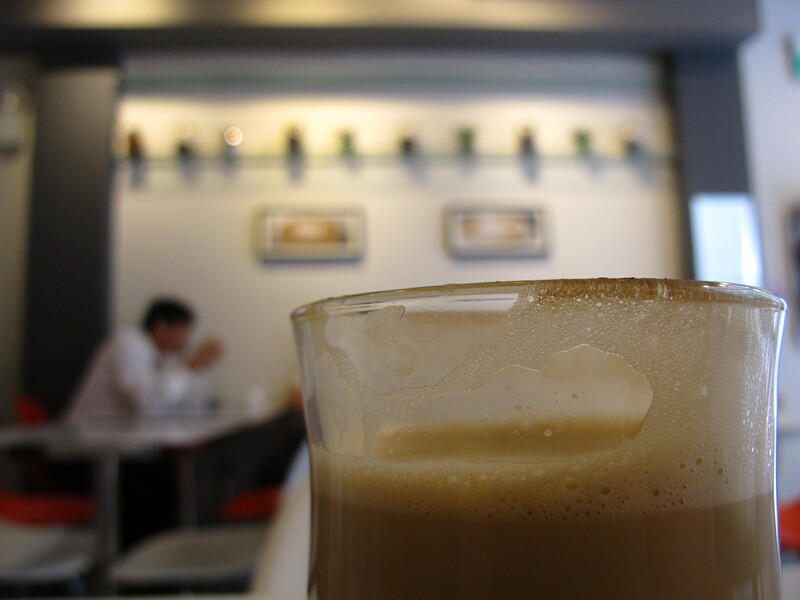 Creme Brulee Latte. You know that custard mixture on a small cup, an egg shell, or anything else, that has the burnt sugar granules on the surface? That was a delicious dessert. 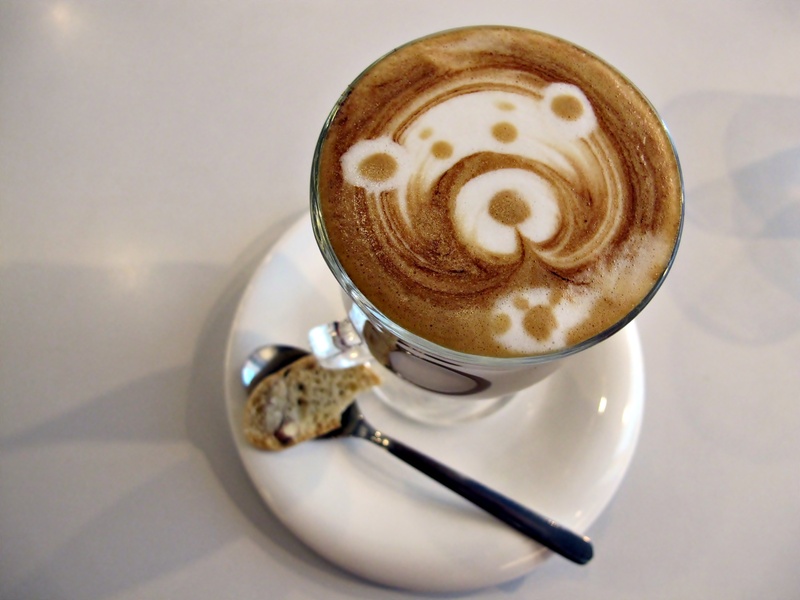 So, what will happen if you have a taste of that in your coffee? Wouldn't it be more time-conserving, convenient and oh-so-yummy? 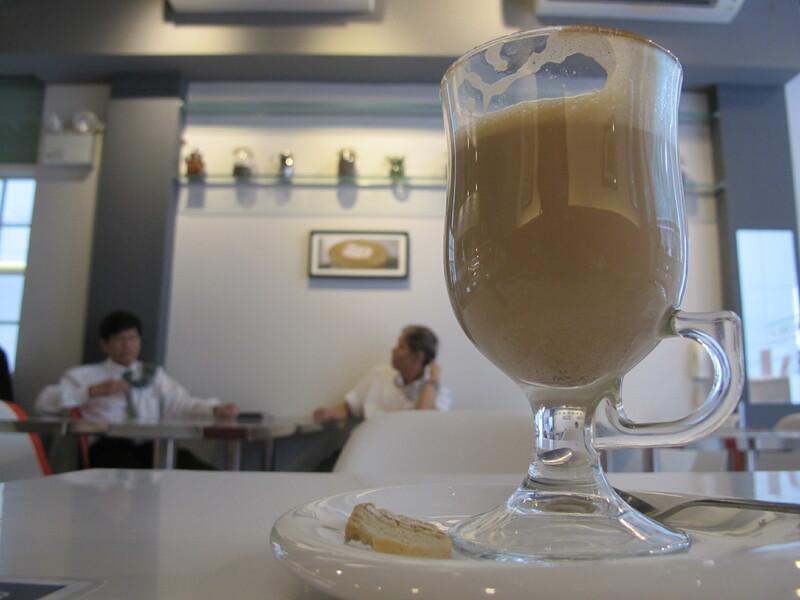 That is what Creme Brulee Latte is. 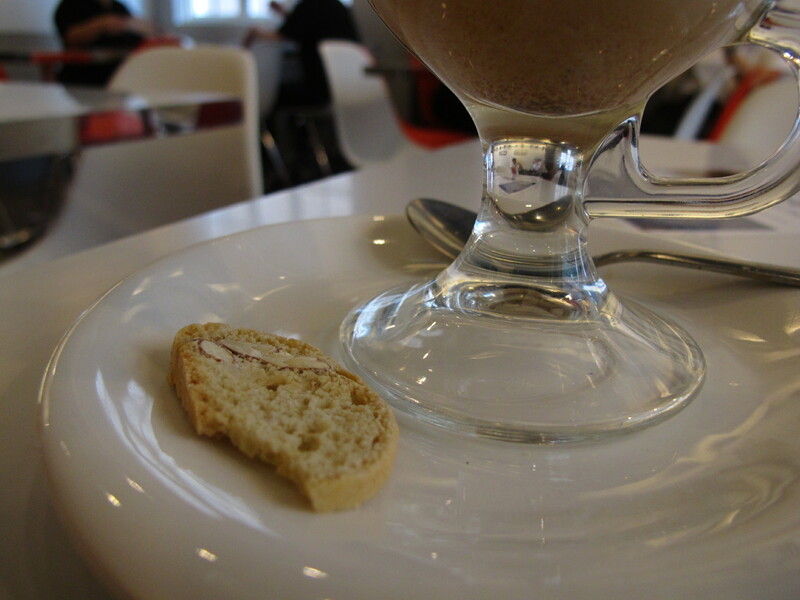 I actually find it weird to have a custard-dessert flavored coffee. It sounds weird to me but it was a recommendation by the staff so why not try it out? I did not regret it. It made me much more happier even! It was creamy but not sweet. It is certainly coffee so don't think that it will taste all-creme-brulee. It is just an additional flavor to the coffee. 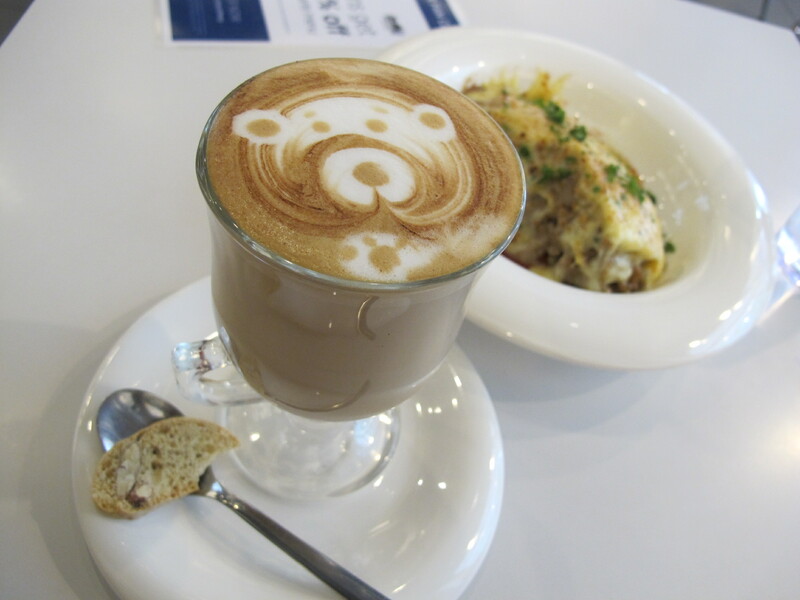 They gave me a bear coffee art this time. Cute! It is funny why I thought of Yogi bear first. 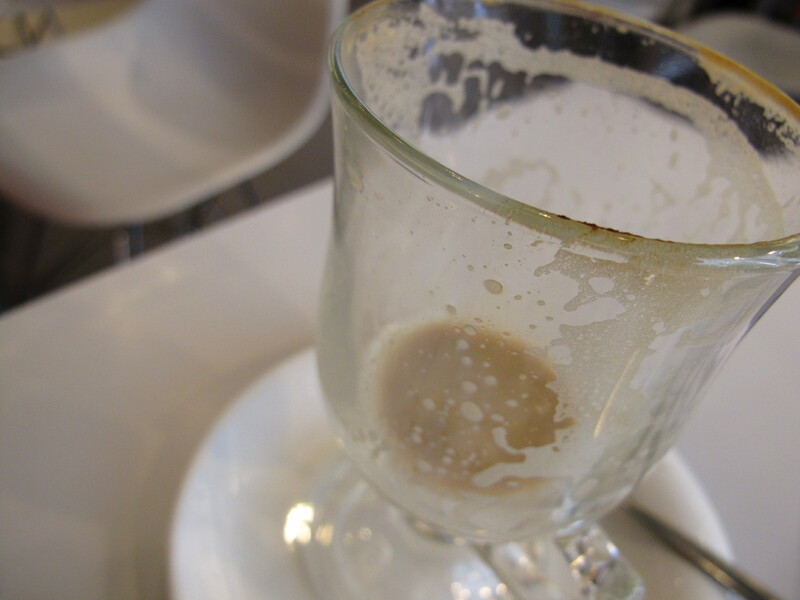 And since it's a latte, it was on a latte glass. It looks like a rice omelet (a.k.a. omurice) since it's all covered in cheese. 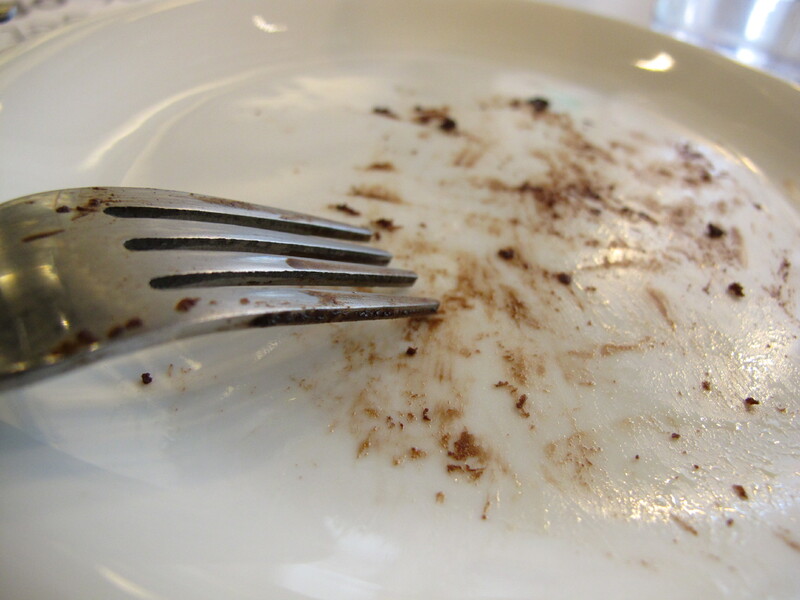 It is cheesy but not to the point of leaving your food unfinished. Aside from being cheesy, it is also beefy. I mean, I can't even make out the pasta from the dish. On one side, there is tomato sauce which is a bit sweet. 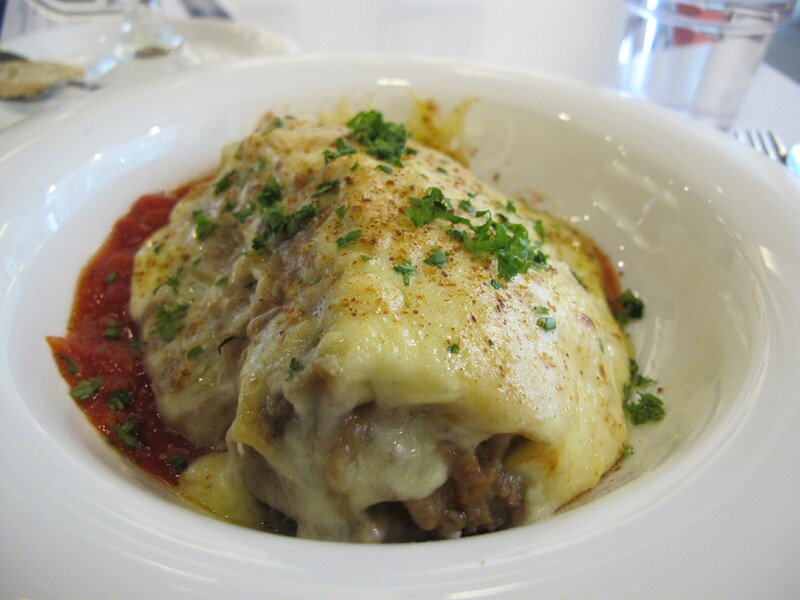 You should eat it together with the beef, cheese, and pasta (if there was really some). It tastes great that way. Since it's all beefy and cheesy and I think the tomato sauce they gave me is not enough, and I'm alone, I almost did not finish it. But I just can't waste food since I'm paying for it. To put it simply, it is delicious if you know how to play with flavors and initiate some modification. The Chocolate Chip Brownie Cake. I am not even sure if that is the name of the dish but I thought it should be something like this, so be it. It just made my day! 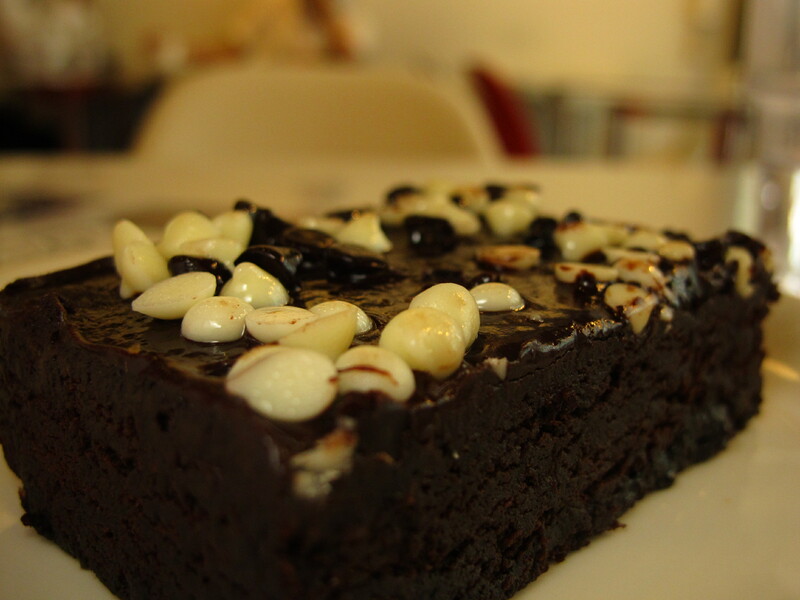 It is a brownie cake because it is not very soft like a cake and now very crusty like a brownie. It is soft, chewy, and delicious. I really love it. It was another recommendation by the staff so I tried it. I highly recommend this one. 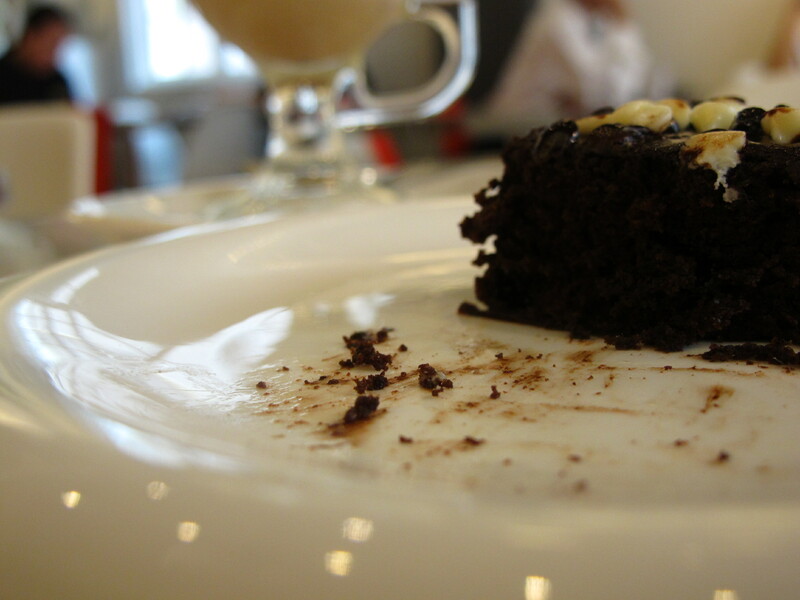 After having this, I realized that my coffee shop dine ins are different now since I order main dish instead of pastries. I don't know if it's healthy but I am enjoying it. I never really thought of having a main dish like pasta or sandwich and coffee as weird, I wonder why? Maybe because I don't go to the counter to order my coffee like I used to? Probably. here are some more photos of the shop taken on my revisit day. 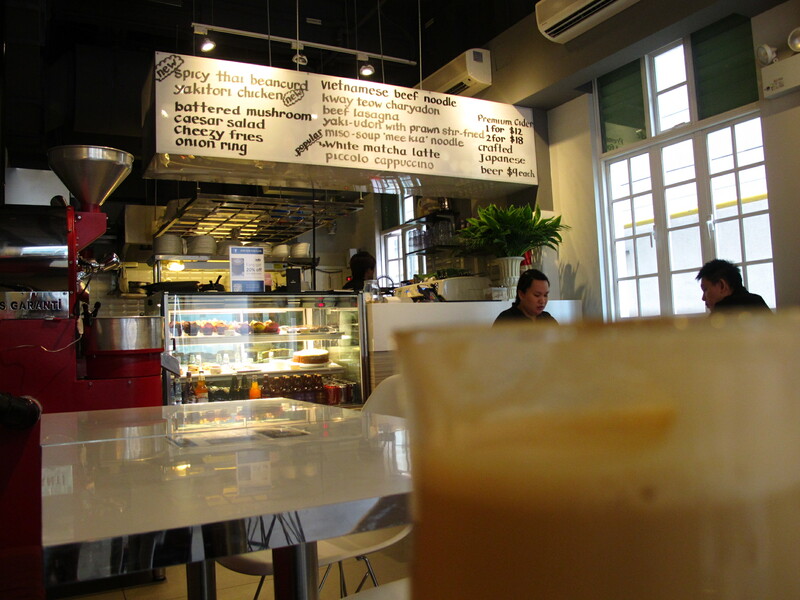 More about food, coffee, and location of SOHO Coffee Sinagpore? 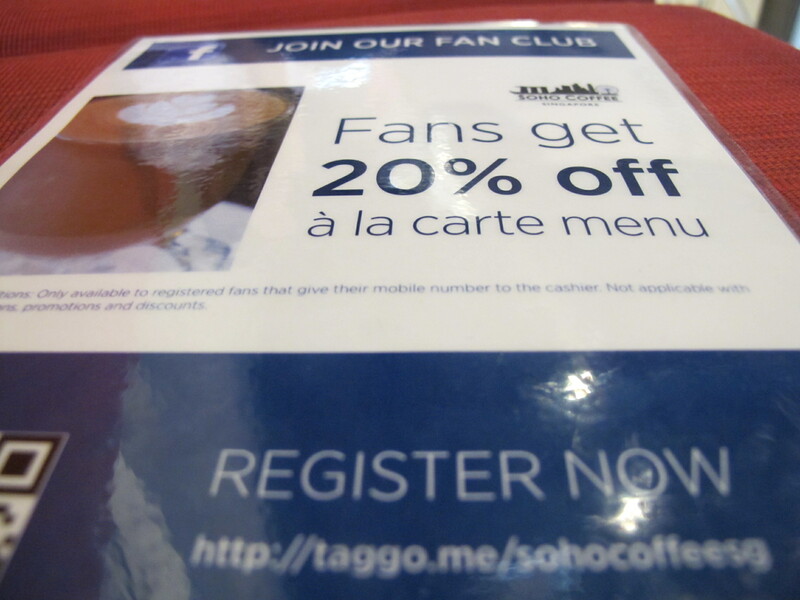 Click here: Coffee Trail: SOHO Coffee Singapore and SOHO Coffee Singapore Fan Page. 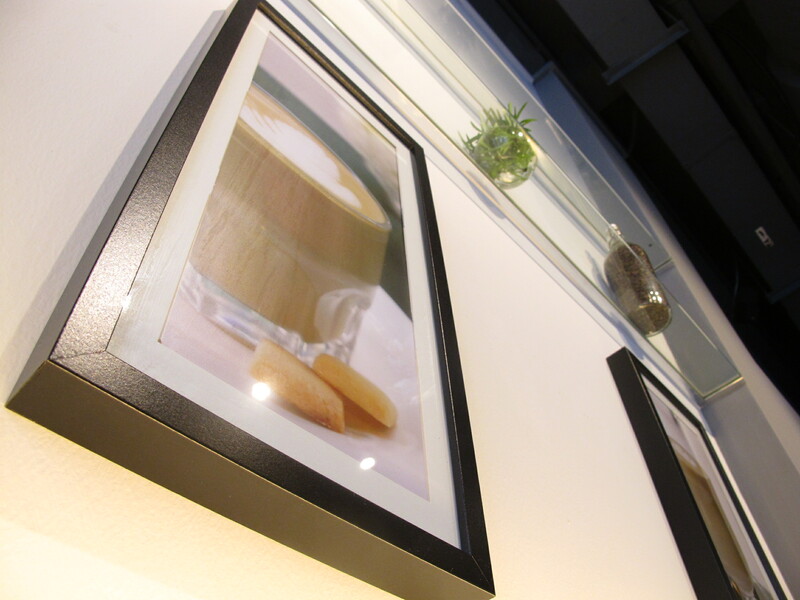 Hope you guys could visit and enjoy this awesome coffee experience in Singapore!